Don Stanek and Ron Barnes are the two original players that got Pickleball started in OKC in 2009 with 3-4 players. They played at the Santa Fe Club in 2009 until January 2010. Don Noakes arranged with Van Greenwood for use of the gym at Quail Springs Baptist Church in January 2010 with 6 players. We played on one court Tues & Thurs. & then later added one court on Wed. & Friday. Vicky Noakes arranged for the gym at the Quail Springs Methodist Church January 2010 playing on Monday and Friday. Membership continued to grow slowly from 6 players to 15-20 in 2010. In the spring of 2011, Quail Springs Baptist Church let us add three courts on Tues & Thurs as our membership grew. By the end of 2011 we had about 30 members. Don & Vicky Noakes established a website for the OKC Pickleball Club https://sites.google.com/site/okcpickleballclub/home. Ron Barnes had a logo designed for the OKC Pickleball t-shirts. By the end of spring 2012 the club had 35 members. Vicky Noakes applied and was approved to be the USAPA(USA Pickleball Association) Greater OKC Ambassador. She also applied for a USAPA grant for $150 that bought a portable net. Then an article came out in the Edmond Outlook in June and Baptist Messenger in October. Also during the summer, additional facilities were added. Lynn Whipple and Peggy Cobb approached the Holy Trinity Lutheran Church & got 3 courts on Friday night and Saturday afternoon with the help of Jimmy Mock. Denny Oldham approached the Exchange Avenue Baptist Church in the summer of 2012 & with the help of Rusty Stowe arranged for 3 courts on Monday evenings. With the magazine articles help and securing nighttime and weekend play by the end of the summer 2012 we had 65 members. Peggy Cobb applied and was approved to be the USAPA OKC West Ambassador. She applied for a USAPA grant and received $250 that bought another portable net, paddles & balls. After the club lost its supplier for paddles, Peggy became a supplier for several pickleball companies to order paddles and supplies for our members at cost. She took over the record keeping of the club which included having waivers signed, membership applications, and safe keeping of the clubs money. Peggy then arranged with the Jackie Cooper Gym in Yukon for 3 courts on Wednesday mornings. After working on the Woodson Park for a year, Denny and Peggy got 3 courts of play on Monday & Wednesday afternoons. November 2012, Vicky Noakes arranged for a TV spot on KFOR "Is This a Great State or What" segment. By the end of 2012 the OKC Pickleball Club had 85 members from 14 to 79 yrs of age. In January 2013, The Magazine of Central Oklahoma SLICE had a small article on our pickleball club. In January, Vicky started Pickleball 101(beginner’s lessons) at QS Methodist Church on two courts each Monday and then adding Friday beginner lessons in February. She has had 25 go through these classes. Vicky and Peggy both applied and were approved for 2 more USAPA grants for $250 each that bought 3 more portable nets, balls, & tape for courts. We added play on Thursday nights at Seward Road Baptist Church with the help of Denise & Bill Austin in the spring of 2013 and Christ's Church of Yukon for play on Wednesday mornings and Saturday nights with the help of Janet Zybach. Denny Oldham arranged for play at Southern Oaks Parks & Rec on Wednesday nights. Sherry Prince applied for and was approved to be the Edmond USAPA Ambassador in July 2013. We lost 2 locations in the summer of 2013, Quail Springs Methodist and Exchanged Avenue Baptist & added the First Baptist Church of Moore on Friday mornings. Membership by November 2013 was 152 & growing. Sherry Prince opened her pickleball store, Boulevard Paddles, in Edmond, OK on November 9, 2013. She had a big Grand Opening Event at the Oakdale Schools Gym with six pickleball courts to promote the club, sport & her new store. Starting in 2014 another location came available with the help of Dr. Gerrie Pinkston(a new member). We were able to start playing on the UCO campus at the Wantland Hall Gym on Thursday nights, Friday afternoons and Sunday afternoons. We closed the Southern Oaks location for lack of participants and they wanted to start charging. Peggy Cobb moved to Ariz & left a huge hole in our club because she put so much effort into it. In January 2014, the club was officially organized. 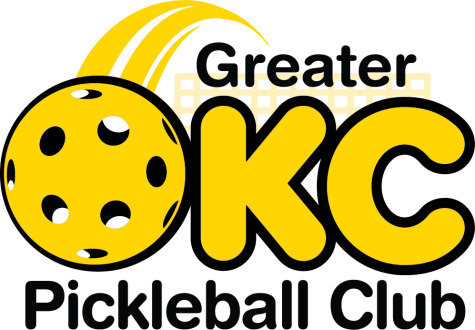 The name of the club(OKC Pickleball Club) was changed to incorporated all of the areas that we cover(Greater OKC Pickleball Club). A new logo was designed. Officers were elected(volunteered) Vicky Noakes, president Jimmy Mock, vice president/treasurer Michelle Simpson, secretary/membership. A ratings committed was organized and members were self rated or committee ranked. We applied for and received a Certificate of Incorporation(not for profit) status in February. In April 2014, the GOPB organized and ran the Yukon Senior Games. This was the first USAPA sanctioned tournament in Oklahoma with seventy one entries. This was our second year to run this tournament. In March 2014, we teamed up with Edmond Parks and Rec for "Pickleball in the Park" We had 80 people sign in. Thirty-seven adults and thirteen kids signed waivers and learned how to play pickleball. April 2014, GOPB along with OKC Parks & Rec offered their first skill level leagues at Woodson Rec Center on Thursday nights. In May 2014,The Greens CC hosted a Pickleball, Table Tennis, Tennis tournament for Edmond Mobile meals. Our pickleball group raised over $2,000. Since January 2014 we have had about 20 new members a month with a total of 240 by the end of May. We closed the courts at UCO in May because of the heat and will start back up in September. We have added courts with the help of the OKC Parks and Recreation dept. at Foster Gym(closed because lack of participation). We are playing there on Tuesday afternoons and Wednesday mornings. One of our local ambassadors has moved to AZ( Peggy Cobb) and another ambassador has been named, Paige Peterson. She will be working to get the Stillwater area started and will help also in OKC. Working with Edmond and OKC on outdoor courts. In June 2014, Paige Peterson, Sherry Prince & Jane Neidenfeuhr organized the "The Longest Day" Pickleball Play-a-thon. Over 100 players including 25 new players helped raise over $2660 in donations for Alzheimer's. Sherry made a video on Alzheimer's Awareness & how pickleball helped her. July 2014, KSBI TV station filmed a segment called Drew vs. Pickleball with Sherry Prince. Vicky Noakes filmed a segment of I Love Pickleball in Ruidoso, NM by the pickleballchannel.com crew. September 2014 membership ended with 271 members. We closed some facilities (Mustang & daytime Yukon) and increased the days at Woodson. Then opened UCO back up for the fall semester, charging 50 cents for parking passes. In October, GOPB subscribed to an online management company (Wild Apricot) with Jimmy Mock & Vicky Noakes being the main website administrators. Daniel Moore presented a Paddletek Demo & Clinic to about 52 Greater OKC PB players. We also opened play at Norman 12th St Rec Center on Monday & Wed mornings and Friday nights with 4 courts. Jolly & Greg Pugh will be the Norman facility monitors. Vicky, Sherry & Matt Shawdee presented "Pickleball: America's Fastest Growing Sport, Taking Oklahoma By Storm" at UCO in a breakout session of OAHPERD. SLICE magazine came to Woodson to take pictures & write a story for the November issue. In November the board voted to raise the 2015 dues to $20, which included a club nametag. In November the board voted to raise the 2015 dues to $20. This included a club nametag. Vicky & Sherry met with the OKC All Sports Association to include Pickleball in the Winter Sooner State Games in January. In January 2015, GOPB started playing at a new facility, KeyHealth. An agreement was made with KeyHealth management for a corporate membership for GOPB members. Courts were available MWF mornings, Tues/Thurs/Fri nights. Leagues are played Friday nights. The club collected the dues and paid one payment to KeyHealth. It was a success and by Jan. 2016 we had 110 members playing at KeyHealth. GOPB hosted the Sooner State Games at The Greens Tennis Facility in January for two days using pickleballtournaments.com for the management system. Vicky Noakes was tournament director with Sherry Prince as her assisant. Registration had to close 2 wks early because it was full at 150 players. We were one of 17 states that was a qualifier for the 2015 State Games of America in Nebraska. The pickleballchannel.com crew came and filmed a segment on "A Story from the Sooner State Games". The tournament was sanctioned as a Tier 3. In February, Sherry & I went to St. Pauls Lutheran church to do an demo for about 15 members. In March, GOPB hosted another local tournament at the Greens. It was a fundraiser for Alzheimer's Awareness. This one was a skill based tournament. Sherry lead a demo at the Green's Tennis Facility introducing pickleball to about twenty Green's tennis players. In March, GOPB participated in the OPEN STREETS OKC 2014 held in Uptown 23rd Street. We set up a portable net and showed OKC how to play pickleball in the street. In April, the Yukon Senior Games was held with Michelle Simpson as the Tournament director with Doug Simpson as Referee Coordinator. GOPB had a booth at the Woodson Health Fair. In May, Sandy Crawford invited GOPB to hold a demo at the Memorial Road Mennonite Brethren Church for about 12 players. A committee was formed to write the By-Laws for GOPB chaired by Bobby Cannon. Vicky Noakes was appointed as the Mid South Oklahoma District USAPA Ambassador. Membership is 309. Boulevard Paddles will be open on appointment only basis. In June, Sherry Prince continued her work with Craig Dishman of the Edmond Parks and Rec to get the pickleball lines painted on the tennis court at Stephenson Park. They were painted in June. The Oklahoma City Parks and Rec Dept decided that they were going to start charging $2 per person for Pickleball at Woodson gym. The schedule was changed to only playing two days a week instead of four at Woodson. Monday & Wednesday was added at Moore to make up for Woodson. In July, Sherry Prince set up demos for OakTree and Santa Fe Family Life Center. In January 2016, GOPB started playing at the Santa Fe Family Life Center. An agreement was made with Santa Fe Center for a special pickleball membership for the GOPB. They offered us play on 6 courts, M-F 6am-1pm. GOPB had over 70 players that joined by the end of January. Membership has grown to 404.